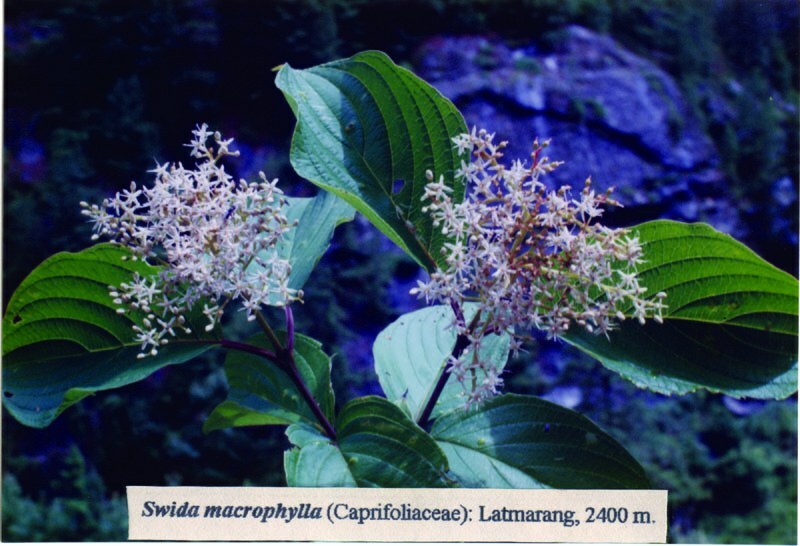 Swida macrophylla (Wall.) Sojak, ; Nov. B. H. B. Univ. Carol. Prag. 1960: 10 (1960). West: PSW 1995. Cent. : SSW 5970; TI 672108; Stainton 5998 (fr.). East: Beer et al. 12328. 1200-3000 m; Afghanistan, Himalaya (Kashmir to Bhutan), Assam, N. Burma, east to China and Japan.